8/24: Read my blog post on deep learning in 3D on The Gradient! Hi, I'm Mihir! I'm a sophomore at Stanford. I have a background in robotics and computer vision and I'm passionate about building cool things that can make an impact at scale. This upcoming summer, I'll be working at Waymo (formerly the Google self-driving car project) on enabling self-driving cars to see the world in 3D. I think autonomous driving is the single most impactful application of AI on the horizon and I'm excited to be able to help make it a reality. I spent this past summer at Facebook, building hardware and software to help bring the Internet to the 4 billion people around the world who still don't have access. Before that, in high school, I worked on drone imagery software at Identified Technologies, embedded computer vision and SLAM at Near Earth Autonomy, and robotics and machine learning research at Carnegie Mellon and MIT. 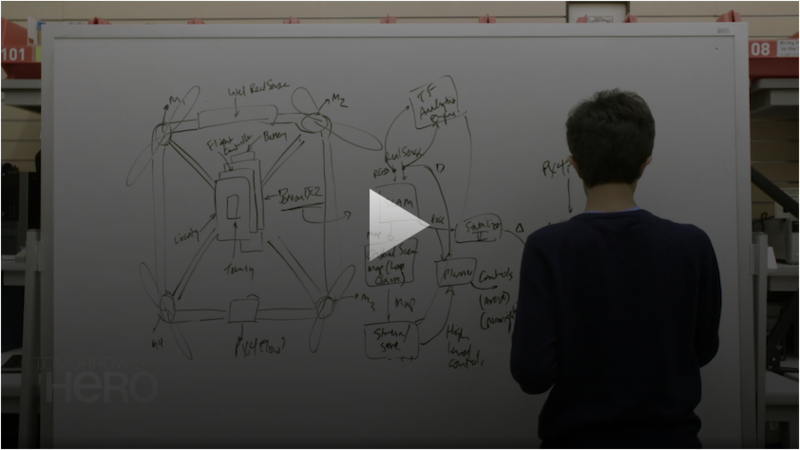 On the side, I'm working on a startup building autonomous drones for photorealistic indoor mapping, industrial inspection, and even search and rescue in indoor spaces (recently featured on CNN). This work was inspired by my past robotics research, for which I've been incredibly fortunate to have received a ton of recognition, including a $50,000 prize in the Google Science Fair. Some of my other projects include StructureKit (crowdsourced indoor mapping with just an IMU), Autocross (a kit to make any RC car self-driving), HeadsUp (a $50 device to diagnose concussions on the sidelines with a quick eye test), ScentIt (a device to embed smells within movie clips), TMAScan (a set of image processing algorithms to help doctors diagnose brain tumors), Robo-Mozart (a robotic violin tuner), and Classroom (a mobile student planner app that has been used by several thousand students in six schools). In addition, I recently worked on a research project around designing a deep convolutional neural network for super-resolution and hole filling in 3D point clouds (poster here). This project was awarded the top final project prize from NVIDIA in Stanford's deep learning class, CS231n. Some of my smaller projects are open source, and the code is available on Github. I'm most proud of Series (an app that can solve calculus series problems using handwriting recognition and the WolframAlpha API) and CiteIt (a tool to create accurate bibliographies). I'm also passionate about computer science education. I co-directed TreeHacks, Stanford's largest annual hackathon, earlier this year, and I also TA Stanford's introductory CS class. Back in high school, I founded and organized FCHacks, Pittsburgh's first high school hackathon. You can learn more about each of my projects by following the highlighted links above. If you want to get in touch with me, my email address is mihir@garimella.io.